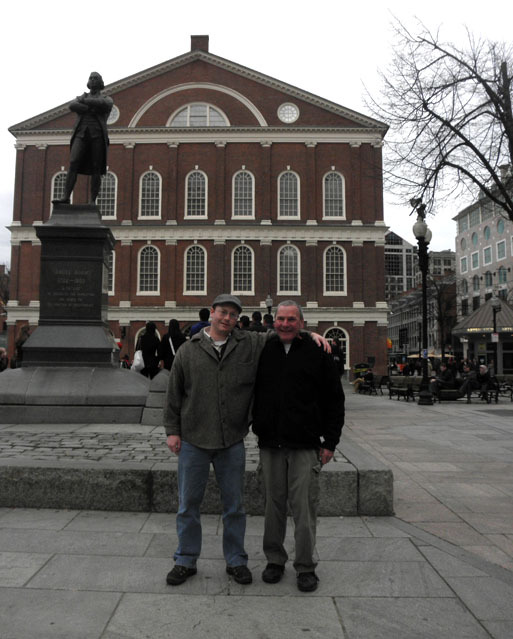 Nick and Craig in front of Quincy Market in Boston on Easter weekend 2012. 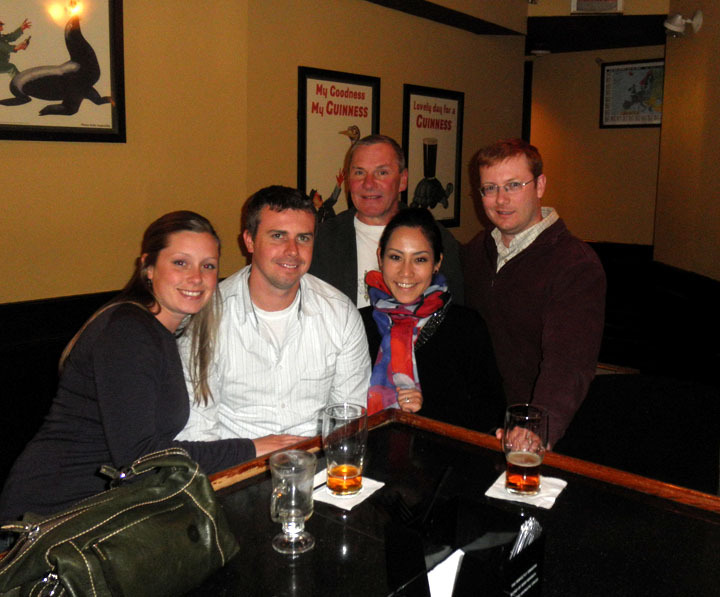 If you have ever had more than two beers with me, then you have probably heard my story about Boston. After high school back in 1998, my buddy and I dropped out of college before freshmen orientation, loaded up his Chevy Cavalier and moved to Boston. For a month we lived in the youth hostel on weekdays and slept in the car on the weekends. we finally found a shithole apartment near the Berklee School of Music, and spent the next nine months thinking we were cooler than Camel wides. In late ’98 my roommate moved to NYC and I headed back to school in Iowa (with a detour in San Diego and the Boundary Waters). In the last 14 years, I returned to Boston twice. That first time was in 2005 when Lisa (now my wife) went there for a Japanese job fair. I tagged along and visited the old neighborhood and the historic sites. But most important, I was able to pay a visit to Mr. Craig Bilowz. Craig took my buddy and I under his wing after the Cavalier overheated on Boylston and we drug our army duffel bags to the youth hostel on Hemenway. 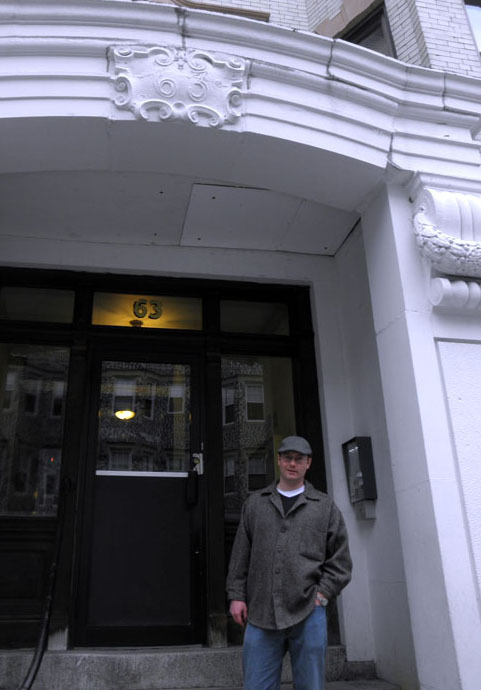 We searched the classified ads in the Boston Globe for apartments. On day 2 a Realtor drove us around Boston, showing us 1-bedroom apartments that rented out for $900 a month. And this was back in the 20th century when you could buy a gallon of gas for under a $1. The Realtor said the apartment was ours so long as we paid first month’s rent, last month’s rent, a security deposit and a Realtor’s fee up front, all for the friendly cost of $3,600. We didn’t have $3,600, but our parents did. So we stood in the Prudential Center Mall, and using a pay phone (remember pay phones? ), we both called our folks. My buddy’s parents said “yes,” as long as it was okay with my parents. 63 Burbank St. Where we eventually lived for 8 out of the 9 months we lived in Boston. The other month was spent in the youth hostel and sleeping in a Chevy Cavalier. “It was your decision to move out there to be on your own, and you are going to have to take care of yourself on your own,” he said. My buddy was pissed. We were still homeless. Later he would say it might have been the best thing to happen to us. The next week, still looking for an apartment in the classified ads of the newspaper (something your kids will never do), we found ourselves in Quincy Market, 40 minutes south of Boston on the red line. We couldn’t find the apartment, so we stopped in the local cafe to see if we could use the phone. The name of the cafe was Craig’s Cafe. That was when I met Craig. He came out of the back room, his face beet red, dusty hair cropped short and a police sergeant mustache. When I told him I worked in restaurants back home, he asked if I could start immediately, literally. I said we had to go look at an apartment, but I could start tomorrow (we never did find the apartment). As Craig reminded me last weekend, the day we sauntered into his cafe was Valentine’s Day. He forced us to make breakfast and lunch for ourselves, and at the end of the work day, he sent home styrofoam containers filled with leftover soup or mac and cheese. He bought us T passes every month so we never had to pay for a train or a bus. When I left my contacts in a hotel room after a Radiohead concert, Craig called the hotel and made them mail the contacts to the cafe. We survived in Boston because of Craig. In return we showed up for work every morning. We poured coffee, made sandwiches and scooped ice cream. We flirted with the secretaries and hair stylists who came in to pick up lunch, and we treated the local businessmen with the respect they didn’t deserve. A few years after we left Boston, Craig sold the cafe. It has gone through four different owners since, and has never even come close to the business Craig was able to accumulate. We used to have lines out the front door during the lunch hour. Now Craig is the assistant chef at a hotel in Quincy. He still works way too hard. Having some 'pops' at the Black Rose with the Moores (Shaeli and Courtney), Craig and my wife Lisa. Ever since I moved to Philadelphia 16 months ago, my one goal was to get to Boston to see Craig. With time running out, last weekend was the only chance Lisa and I had to get there. It just happened to be Easter weekend, the busiest weekend for brunch at Craig’s hotel. But he took a few hours out of his day to have a few ‘pops’ with us. His hair is quite a bit dustier. My gut, which didn’t exist when I lived in Boston, was the focus of every photo. But Craig’s guffaw is still the same. He still insists to pay for everything. And it was great to reminisce with the man who helped me grow into a man, even if it was just for a couple of hours.